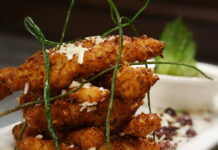 SMALL BITE: Five Sails Restaurant is on the “R” level of the Pan Pacific Hotel, a sweeping staircase up from the hotel lobby and check-in. Husband-and-wife team Chef Ernst Dorfler and Gerry Sayers run the restaurant like it’s their home and treat guests like family. Chef Dorfler is an internationally acclaimed chef and Culinary Olympic World Champion, and has helped build a reputation for Five Sails as THE go-to place for fine wineing and dining in the Vancouver area. 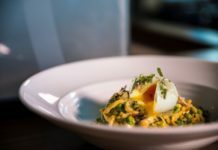 SIGNATURE DISH: Chef Dorfler has created a menu around fresh, locally sourced ingredients. 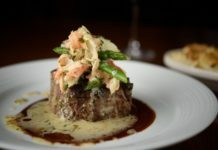 Cast off into your Five Sails dining experience with Caramelized Weathervane Scallops or White Asparagus Soup with Pea Puree; then coast into tasty main entrees, like the Soy Glazed Marinated Sable Fish or Pan-Seared Pacific Halibut. For dessert, try the Grand Marnier Soufflé with Rum & Raisin Ice Cream and Crème Anglaise. Can’t decide? The tasting menu, at $90/diner, might be just the ticket. FOOD FOR THOUGHT: In two words, THE VIEW! Five Sails arguably has the best view of Vancouver harbor and the coastal mountains in all of British Columbia. If you are a restaurant-view junkie, THIS is the place in Vancouver where you need to sit by the window. 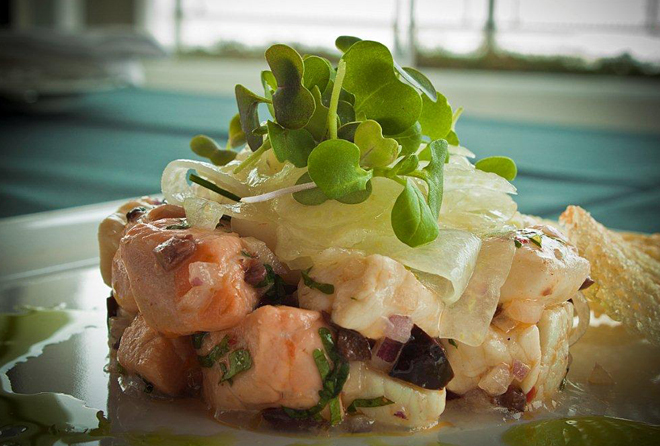 Five Sails has a panoramic view of the harbor, so really, every table is by the window. What’s more, the wine list features local producers with a special emphasis on the Okanagan Valley. HOURS: Open 7 days/week Breakfast, Lunch and Dinner, 5:30 a.m. – 10 p.m.
ABOUT PAN PACIFIC HOTEL: If you are a cruise passenger, you need to know something important: Pan Pacific bell hops will take your luggage from your hotel room down to the cruise ship terminal for you, so you can “cruise” through check-in without lugging bags around. It’s a great perk for guests staying at the hotel prior to their cruise. 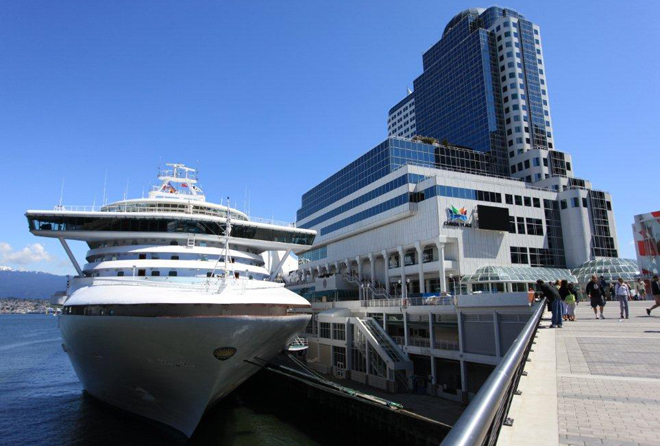 This 4-diamond, award-winning international landmark is best recognized by its iconic five sails rising above the Alaska cruise ship terminal and the Vancouver Convention Centre. 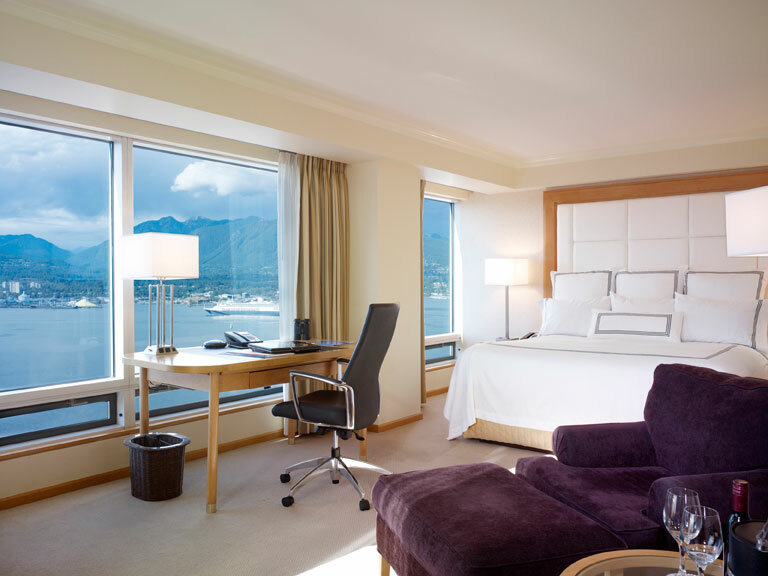 It offers 503 luxuriously appointed rooms on 23 floors and commands one of the best views of the harbor and the outlying mountains. In the heart of downtown Vancouver, Pan Pacific is close to shopping centers, theaters and Stanley Park. No wonder it has attracted more visiting heads of state, dignitaries and movie stars than any other resort property in Western Canada. 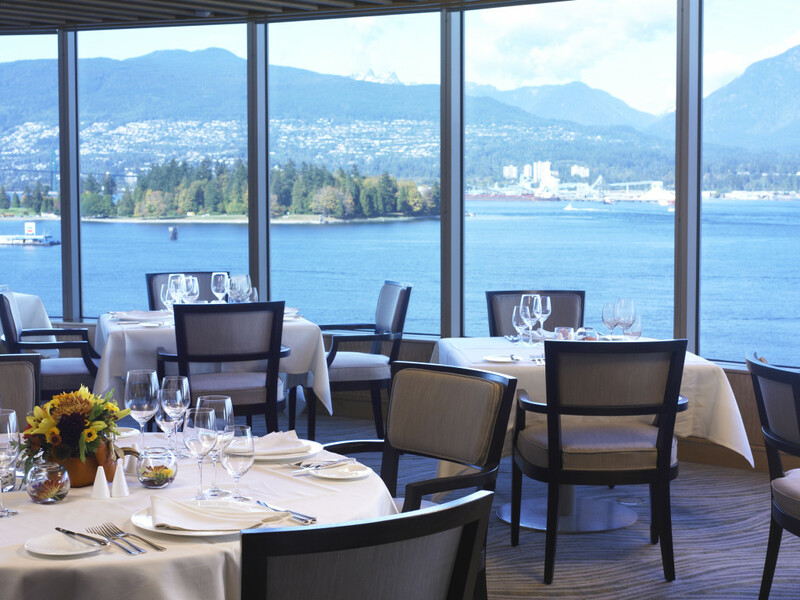 See other Great Hotel Restaurants in Vancouver!